A kayaking holiday with children can be easy and fun, but you need to choose the right place to go. The UK is full of excellent family destinations enabling you to enjoy the great outdoors. Whether it is calm waters or white water, sea or river, there are plenty of choices in the UK. Here are some of the best spots to enjoy kayaking when on holiday with children. You can enjoy both sea and river kayaking in this popular outdoor activity destination in the UK. Lizard Point is an excellent place to take a guided sea kayaking with its waves and small coves to explore. If you are looking for some river fun then the River Fal or River Tamar offer some calm scenic tours. You might even spot kingfishers or deer on your journey. Cornwall has so much to offer families and kayaking is just the start. At the National Trust site of Derwent Water, you can enjoy some spectacular kayaking that is especially family focused. The calm waters and well organised site make it an excellent choice for families with small children. The maps are clear and routes well set out so it is easy for the whole family to enjoy some time on the water. The Lake district is a destination where you can relax and enjoy the beautiful English countryside as well as take part in some exciting activities. Explore the calm waters and interesting history in the area compared to Mediterranean shores. Paddle to Fort Henry where the D day landings were practised and a lovely rock formation at Old Harry Rock. There are also tour companies who will take you on lengthier trios and on a nice day you could even try some snorkelling in the clear waters. You can check out some of these tours and trips at the TOAD outdoor activities website. This man-made route runs from Guildford to the Thames at Weybridge. This is an easy way to discover the local area by canal and great for beginners. It’s also a place you can explore by yourselves instead of with guides and take as much time as you like. The scenery is varied, from towns and villages to pretty countryside and in some parts, you may have to keep an open mind. If you want to try Kayaking surround by beautiful mountain scenery then this is the place for you. The Lake actually has some gorgeous sandy shores and excellent views of the towering Mount Cairngorm as a backdrop. It can get a bit cold so you need to wrap up warm. There is also a local sports centre that offers lessons as well as rentals in the area and will be able to give you some tips about the best spots to visit. This run is the longest kayaking river in Northern Ireland and you must make sure the family are up for the whole trip before you go. The trail is over fifty-three kilometres and mostly flows through rural countryside. Along the route is also the historic city of Derry-Londonderry and the pretty seaside town of Moville. If you don’t want to travel such a long distance you can always plan a shorter way at part of the route. There are a multitude of water sports to try in this fantastic location in Wales. The choice of routes is amazing here too. From gentle canals or reservoirs for the beginners to the extreme of passing through and around one of the National Park’s waterfalls. The Brecon and Monmouth Canal that follows through to Llangorse lake is a great choice as a starting point for beginners and families. Wherever you choose to kayak here you should check the water levels as the difficulty can increase when the water levels do. 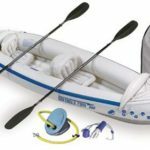 Would you go kayaking with your children? Kayaking is an excellent exciting outdoor activity to enjoy as a family and as you can see there are plenty of places in the UK to try it. 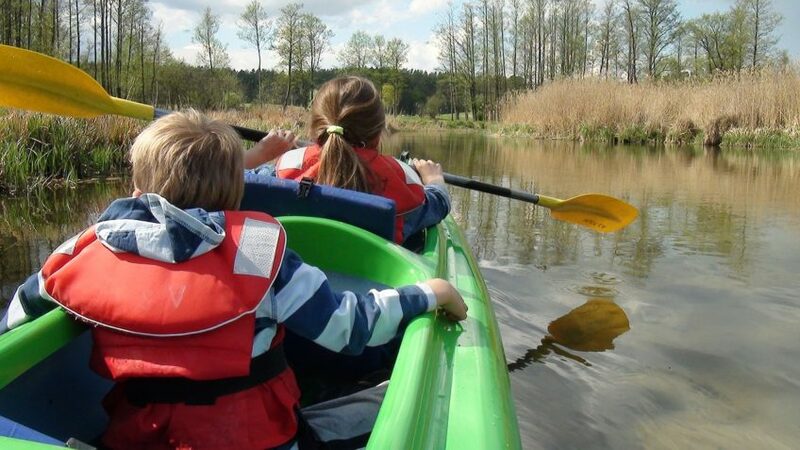 Would you choose to take your kids on a kayaking holiday? Which great destination would you choose?